HAPPY NEW YEAR!!!! Hello my friends! I hope you are enjoying your Christmas season. We have had so much happening. A friend of our family is remodeling (with my husband's help) and the mom (My friend) has a lot of allergies, so they have been staying at our house this week. This has thrown my schedule off a bit. GOD is good though and has blessed us with space to have people into our home. Tonight, we will be surrounded by friends with good food and an opportunity to pray together and play games. It will be lots of fun! 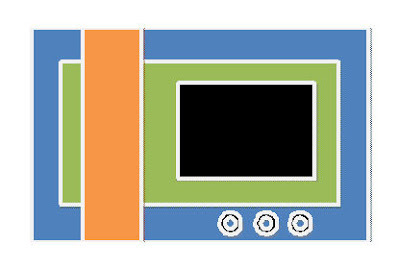 Todays project uses the Fancy Frame Window Frame card. 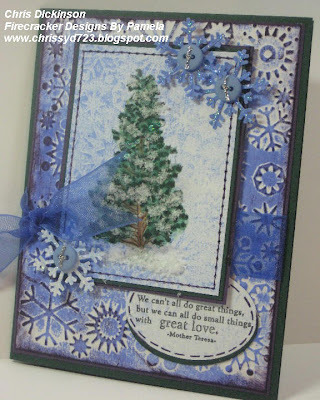 I used the Gingerbread House Digi from Sweet 'n Sassy Stamps. What a FUN image to color!!! I decorated it up with Stickles and Flower Soft...coloring it with Copic Markers. 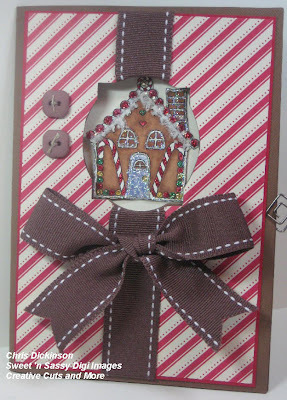 Stamps: Gingerbread House Digi from Sweet 'n Sassy Stamps. Anyways, be safe and have fun! I am praying this year will be filled with good health, lots of laughter, personal and spiritual growth and the ability to fully trust in the LORD's perfect will. This week is my last week of being a Guest Designer - I have had so much fun playing with their FABULOUS images! 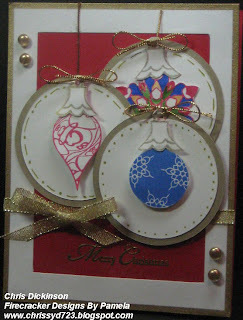 Today, I had my annual day of stamping and scrapbooking with friends. My husband made us home made pizza (I didn't eat it due to my diet!) 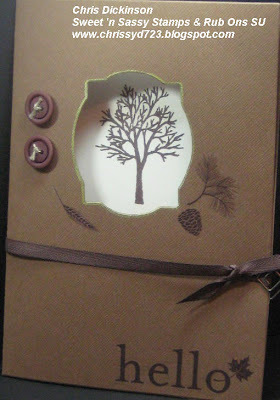 I stamped all day and got 4 projects completed. Those projects will be shown in the near future! Thanks so much for looking! I hope you have a fabulous day! Hello! Today is Belli Challenge Day! Did you know we are still doing a search for a few designers to join our team? Please check out the Belli Challenge Blog for more details! What is the Belli Challenge you ask? Each week, we try to give you a challenge that will use things we have lying around your stamp rooms! With a constant flow of new things coming out, we tend to forget about the other things we have and they quickly become clutter! 2. Make a completed project with any type of TAG... 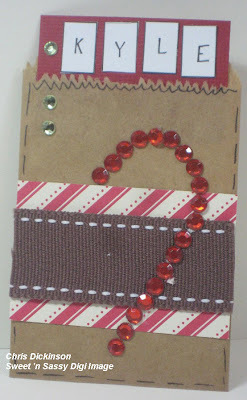 It can be a gift tag, an acrylic tag, a tag album - anything! 3. Share the link here in the comments linking to Mr. Linky - CBC81. When you post to Splitcoaststampers or to your Blog, be sure and put CBC81 as the KEYWORD and mention of the challenge - with a link! I hope you have a wonderful, safe and Merry Christmas! HAPPY MONDAY! I hope this finds you well rested from your weekend. 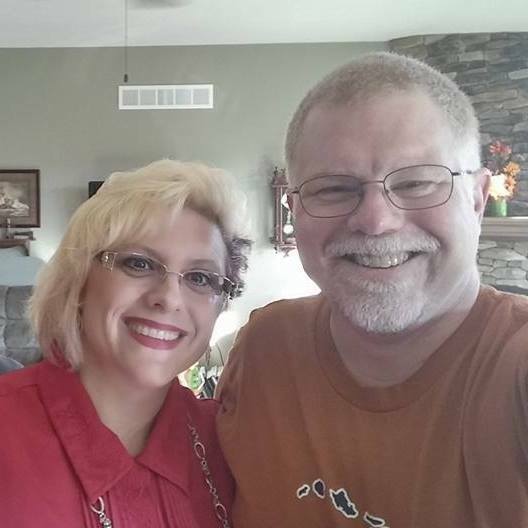 We had a great weekend. I will share the pictures tomorrow! THe city we live in brought in 21 Snow Sculptors and we went down town for that event. It was VERY cool. We also went to Discovery World in Milwaukee to see the Train exhibit they had there. 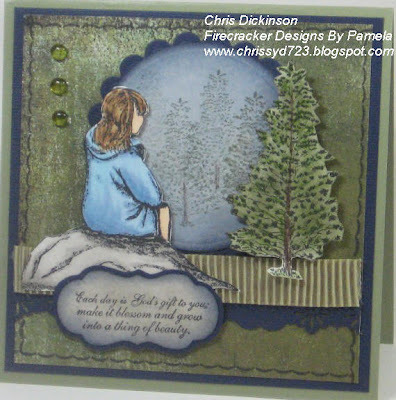 Today, I am sharing projects featuring the Firecracker Designs By Pamela stamps! I am their Guest Designer this month and have been having a BLAST playing with their FABULOUS images! 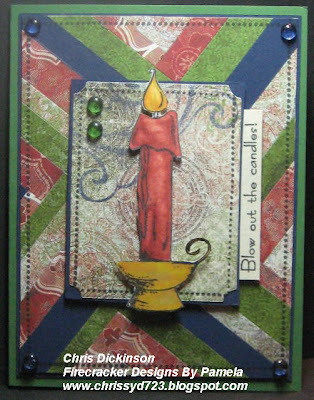 The first card uses the technique from the Technique Junkies December Newsletter - Jenny's Coat. This technique is one of my FAVORITES! It is fast and fun and I am THRILLED with how this technique turned out! 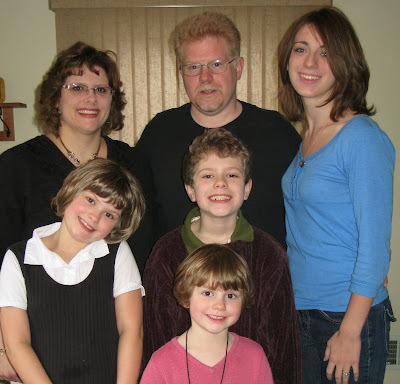 Every year, we take a family picture at Christmas time and this year was NO exception. This year, we TRIED to be early because our oldest was home from college. This was the BEST one out of the bunch we took on Thanksgiving... I did not go with this picture for our family Christmas card but it is a picture of our family...I am thankful for each goofy body in this picture. I hope you are enjoying your Christmas Season! Merry Christmas! I know it is a busy season for everyone. Are you enjoying it? In between running around, I have been trying to take extra time to just sit and snuggle with my children. Mornings are normally when I do this. We take it fairly easy in December - try to simplify, especially with school. We end up doing lots of crafts, normally baking, but I am not doing that this year - a tad more extra curricular activities... This year is no exception...this week we will make some Salt Dough Ornaments, decorate a Gingerbread House and go to Discovery World because they have 1200 square feet of train tracks. It sounds like FUN! My weigh in today was down 1 pound...for a total of 33 pounds! Thanks for stopping by! Have a blessed day! Merry Christmas and Happy Hanukkah for those of you who celebrate that holiday! Merry Christmas! 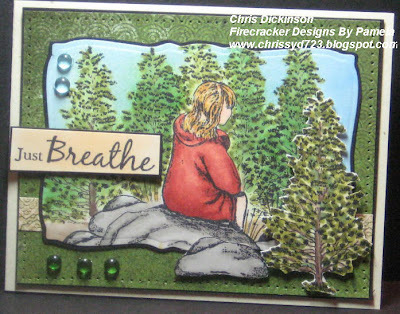 I am so excited to share another card from the Firecracker Designs By Pamela stamp set Just Breathe... 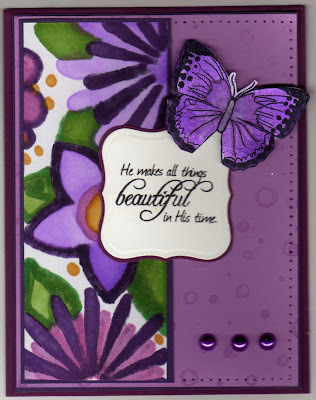 This month I am the Guest Designer there and I am having so much fun playing with their stamp sets! I reflected on how Nehemiah took the time to just rest in the LORD, fully trust, fast and PRAY - he took the time to breathe. My prayer for you today, is that during the hustle and bustle of this busy Christmas season, that you get to take the time to BREATHE and have a quiet time of reflection of what the Season is all about... our Lord and Savior. I dotted the greens on the trees with my Copics to get more of a realistic coloring affect on them. Thanks so much for stopping by! I hope you have a blessed day! Happy Friday! This weekend will be a quiet one. I am looking forward to it. I am hoping to have LOTS of stamping time! Have a great weekend! Thank you for stopping by! Merry Christmas!!! 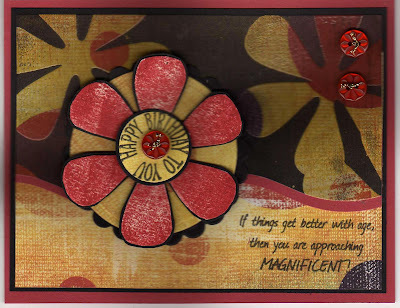 Today, I thought I would share a card that I made using the MOJO 116 - sketch.... This card was FUN to make! IAnd it’s time to move to 50% off!50% items-CLICK HERE! Help me make room for next year’s rubber! Most sets are being discontinued, so don’t delay! Hello! Happy Wednesday! Today is Belli Challenge day! 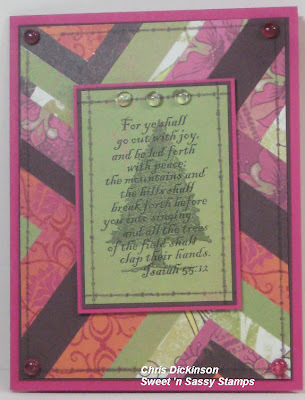 This week's Belli Challenge is to make a project with FLOURISHES. 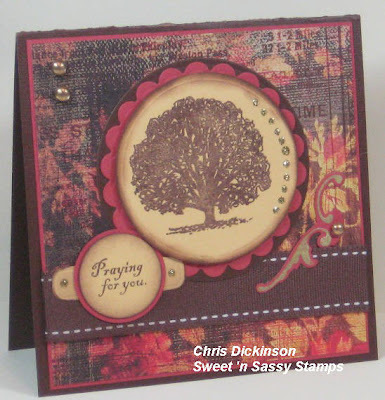 You can use flourish-style stamps, chipboard, bling, or even draw your own flourishes on your card or project. We are doing a BELLI CHALLENGE DESIGN TEAM CALL! You can check out the details HERE. For those of you following my weight loss - This week I am down a half lb.. I made fudge last week and the spoon attacked my tongue, plus I didn't get as much exercise... so I think I need a kick in the pants to get moving again - but a half a pound DOWN is still not bad... I am down a total of 31 lbs. now. Hello! Today, I have TWO cards to share. Now don't faint. LOL I know I have been slacking on my blogging lately - I really have NO excuse except every day busy-ness and just not making a priority. I will strive to be better. This cardstock is from Creative Cuts and More and I used the Bazzill Criss Cross - this uses the A7 Fancy Frame Window Card. 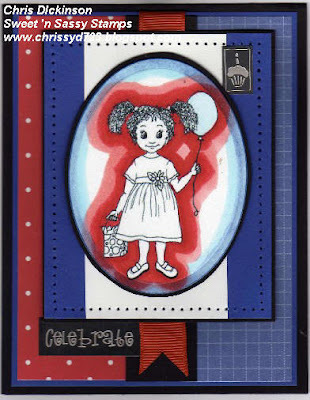 I just love the fact that Creative Cuts and More has so many options and ideas for us with precut cardstock it helps me to think outside the box yet make quick cards! I used the Herringbone Technique from the December - January Technique Junkies Newsletter. I think that is one of my new favorites! Look for another card using this technique next week here. Tomorrow is the BELLI CHALLENGE day, so be sure to come back and check that out. Enjoy the Christmas Season! Thank you for stopping by! Merry Christmas!!! Hello! Happy Monday! Some how I lost 5 days! I didn't realize until yesterday I hadn't posted in a few days. Every day was filled with activity here since last Wednesday - we had several Christmas parties and then company most of the weekend. It was very nice. 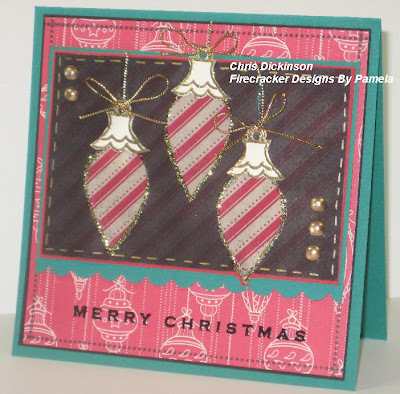 The month of December has given me the opportunity to be a Guest Designer for Firecracker Designs by Pamela! I am so excited to have this opportunity. What a blessing! 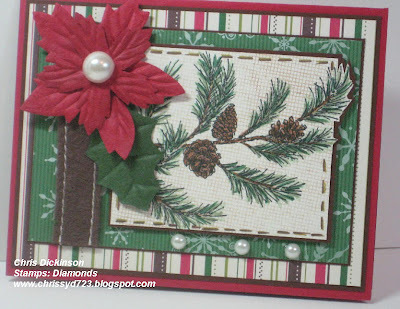 This month Firecracker Designs by Pamela has a FABULOUS end of the year BLOW OUT SALE! Help Pamela make room for next year’s rubber! Most sets are being discontinued, so don’t delay! Get `em until they’re gone or until the year is Gone! Discount on IN STOCK ITEMS ONLY! ***PLEASE NOTE!! Pam will be shutting down over the holidays to take a nice long break. The last day to place orders for this year is Dec. 15th!! Orders placed after that will be processed in January!! thanks! 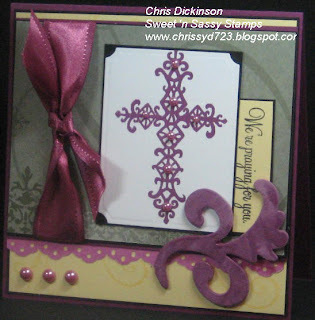 For my card today, I used the Our Creative Corner Sketch SASSC43 for my lay out. Come back tomorrow for another project! Thanks so much for stopping by and commenting. I love hearing from you! Have a blessed day!!! Jenny's Coat - Weigh In Day! Hello! Happy Wednesday! 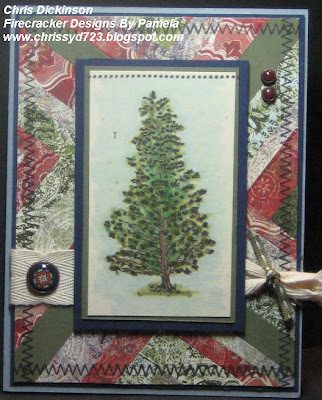 Todays card features the technique JENNY'S COAT from Technique Junkies December-January newsletter. For those following my weight loss - I am on week 9 and have had a couple of slip ups - but nothing major. I have decided holidays are HARD!!! Thanksgiving I had a tiny bit of stuffing and a very small sliver of pie. And last night, I made home made fudge and when I was done making it, the spoon ATTACKED my tongue!!! I was able to move past that and have kept motivated - I just exercised a bit more between those diet mis-steps. I am persevering one moment at a time - I lost 3.5 pounds this week and I feel so good. I continue to fit into pants that I have tried on 2 weeks prior and were not able to fit into to - so that feels GREAT! I love having thinner clothes to wear but find myself running out of hangers. I think it is time to eliminate the clothes that are now too big. I have dropped from 2-3 pant sizes depending on the pants as they all fit differently. I love it! I have NEVER looked forward to stepping on that scale like I do now. Even with the few tiny slips I have had.